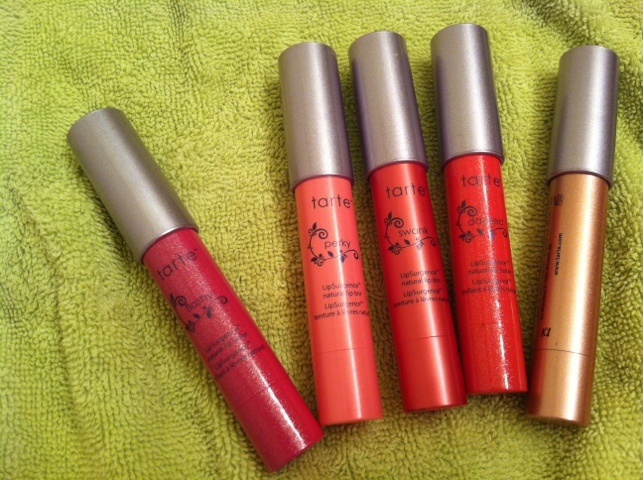 I recently purchased the new Tarte Holiday LipSurgence Set at Sephora because it gives you 5 great colors for a super great price. Normally one of these bad boys is $24. In this set you get all 5 for $29. Somehow that works, so this is a way better deal! And you get to try out more colors then anyone would be willing to spend if you bought them one bye one. These smell/ taste very minty, which I stupidly didn’t know before I got this because I am not a huge mint fan, but it isn’t too bad and is growing on me. ( for those of you who do like mint then your in luck and this will only be another plus for you) I didnt have really any spectrum of lip colors that were not in lipgloss/ glaze form, so now I have basically every color I could need or find a reason to buy.